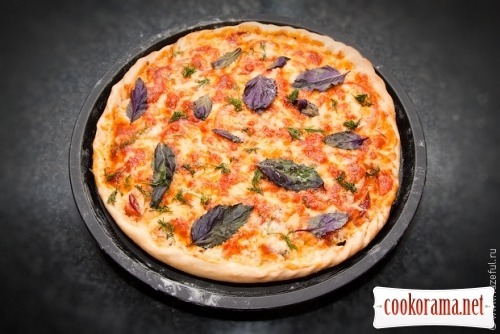 Let's cook pizza today. I can not tell and guarantee, that it will be a real Italian pizza. Italians generally believe that pizza is made only in Italy, elsewhere it turns into a pie, and pizza mst be cooked in a wood-fired ovens (in Italy look for a note «forno a legno» near pizzeria's name). But after you try pizza in Italy, understand that before that you was cheated. 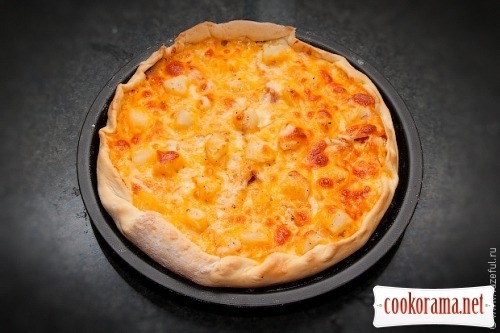 In our town, for example, generally don't cook tasty pizza. Pies everywhere. 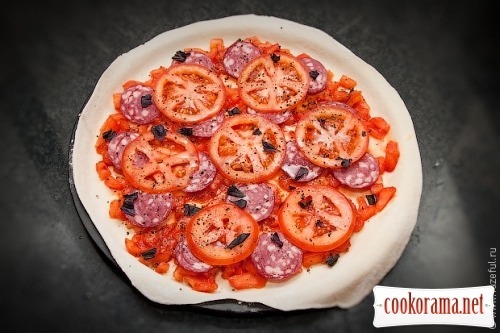 And, usually, put all that is possible when cooking pizza at home Thicker dough, more filling. We'll do a little differently. I find it difficult to specify the exact amount of any products, because often I do everything by eye. Photos, I think, will help you to orient. I put mozzarella in pizza, but nobody bothers you to replace it. I generally like to mix a couple of types of cheese. 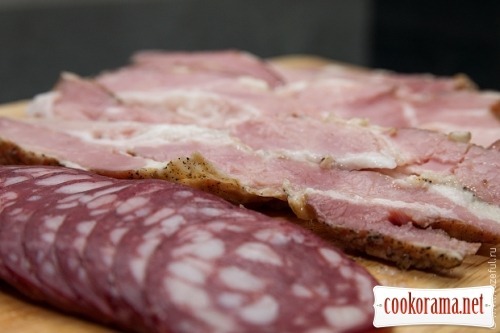 Sausage and bacon I buy already sliced ​​in vacuum packing. It's comfortably. Slices are quite thin and less time is spent. Fresh basil can be replaced with dried one or parsley. On the market today, unfortunately, there was no green basil, purple had to be used. Let us start. 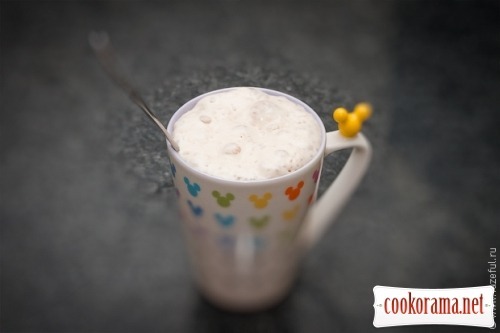 Mix in a mug: 2 tablespoons of flour, half a bag of yeast, 1/2 teaspoon of sugar and mix. 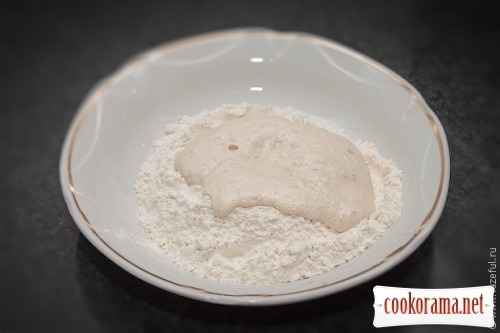 Add enough water to get a watery dough. In result we get a sourdough. Place it in a warm place for 15-20 minutes. Pour 250 grams of flour in a bowl, make a hole in the center, and put the sourdough. Salt and start gradually adding water, kneading the dough. 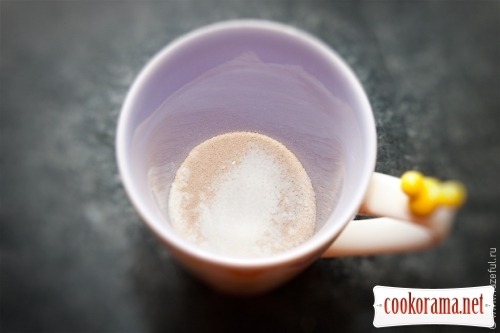 You can add a teaspoon of vegetable oil for elasticity. 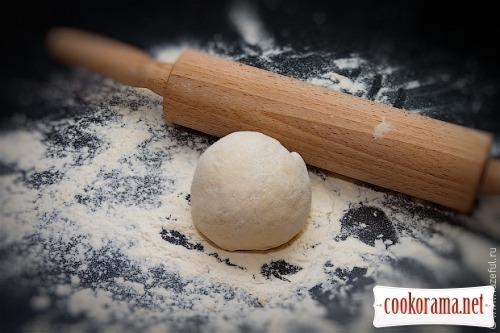 Knead the dough for about 15 minutes. It should be flexible and do not stick to hands. Obtained «bun» leave covered in a warm place for half an hour. I usually put close to the battery. And we'll make stuffing. Incise tomatoes (except one) crosswide and parboile. Remove the seeds and cut into cubes. Brisket and sausage cut into thin slices. If you have pineapple rings, then cut them into cubes. 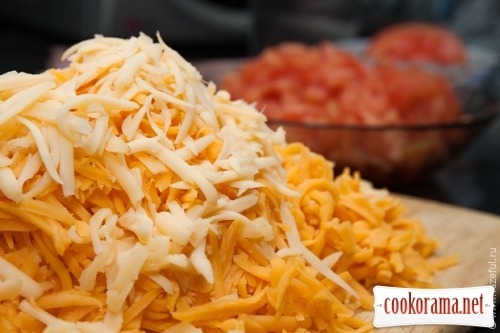 Cheese can also be cut into cubes, but to me grated is better, because it turns out more. 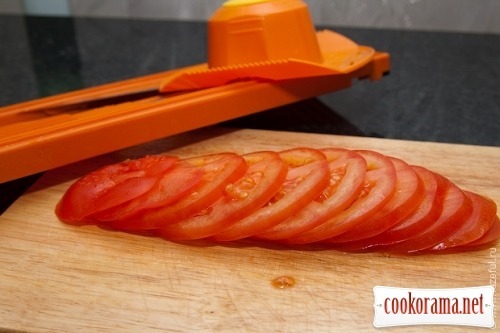 One remaining tomato slice into thin slices. And right now I'll take advertise (naturally, a lot of money) Borner grater, that allows you to cut everything very subtly and quickly. See how our «bun» increased in size, but now we'll fix that Knead the dough for another 15 minutes. Divide into two equal pieces and roll. I am not pizzaiolo because can't do that with hands, more old-fashioned — rolling with a help of rolling pin. 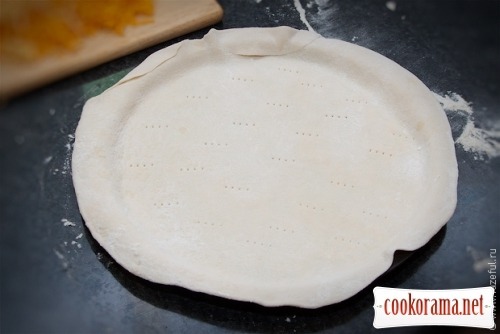 The dough should be rather thin, to fully cover the pan and there was still a little to wrap the edges. Oil the baking pan and sprinkle with flour. Put our «pancakes» on it. 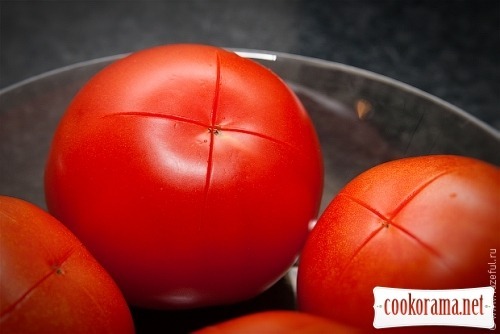 Pierce dough with a fork over the surface and place an even layer of half of tomatoes. From above, lay strips of brisket in the form of rays and pineapples. Pepper and salt to taste. 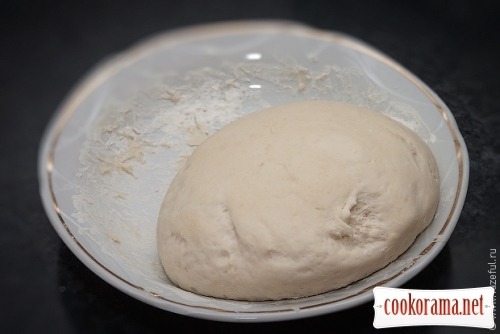 Wrap the edges of the dough inwards. Pour half of the cheese. First pizza is ready for baking. Put it into a preheated 220 °C oven for 15-20 minutes. 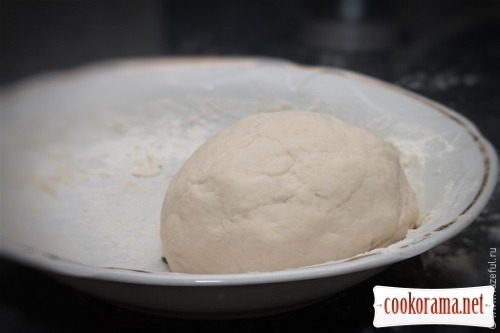 And begin to roll out the dough for a second pizza. 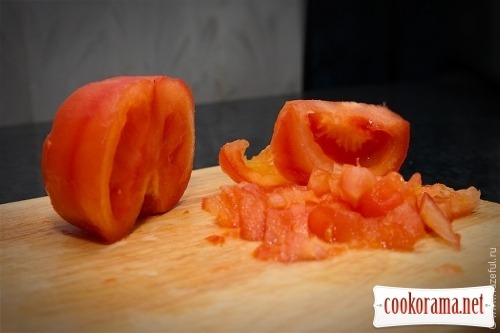 Add a tablespoon of tomato paste into the rest of the chopped tomatoes and salt a little. 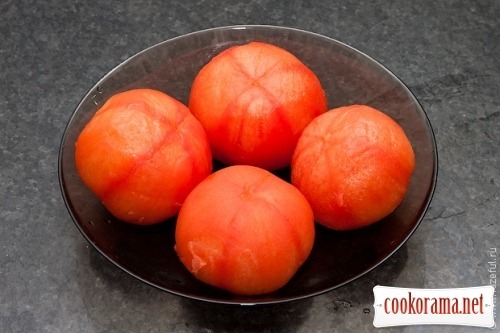 Tomatoes are quite unleavened now and the paste will give them an extra flavor. 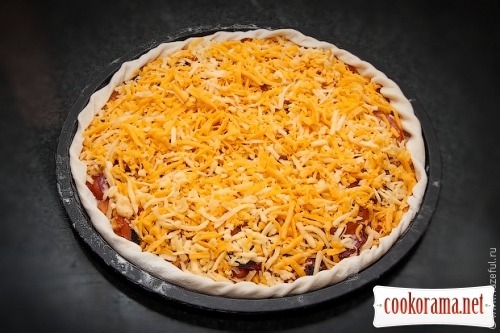 Cover second base for pizza with this «sauce». 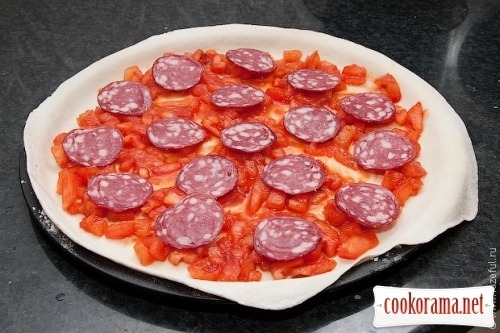 Place slices of sausage on tomatoes. Lay on top of the tomato slices (I love double tomatoes . Salt and pepper. Pour two tablespoons of oil over the surface (olive is better). You can add a bit of dried basil. 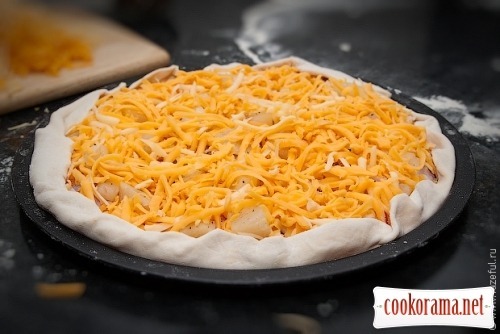 Wrap the edges of the dough. Sprinkle with cheese. 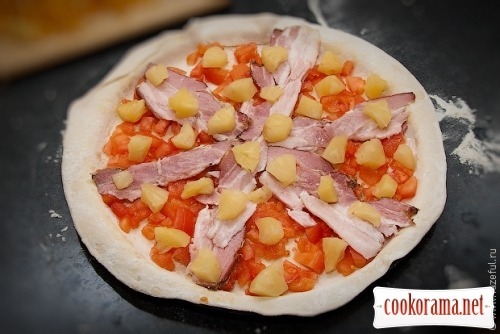 While we conjured over the second pizza, «Hawaii» is already done. And there is not too long before the second one is done. Lay leaves of basil on the second pizza. By the way, I also love pizza with seafood — marinara. So, it is best not buy frozen seafood mix, but canned in oil or fresh Preparation is same, but with garlic is added. 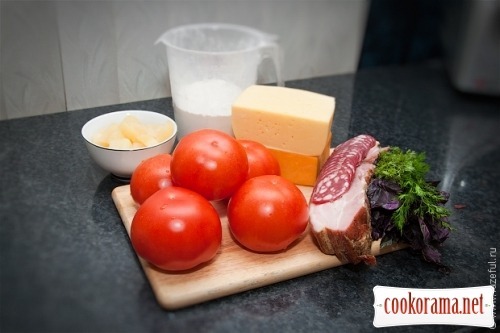 And do not forget to experiment with fillings, the main thing is not to bring down all into a pile. На следующий раз при замесе теста влейте немного ол. масла, это отразится в положительную сторону на его качестве. А к Маргерите тоже кладут чеснок (это по желанию). Ну и неприменно сухой оригано. А вместо томатных пастов кетчупов подойдет уваренный томат (как в оригинале), благо на улице не зима. В нативной маргарите, на сколько мне известно, только три ингредиента, кроме теста: томаты, моцарелла и базилик (цвет итальянского флага), а чеснока и орегано нет. Масло в тесто добавляют согласно технологии приготовления дрожжевого теста. По роду своей производственной деятельности мне приходилось обслуживать пиццерии в Наполи. Супер-пупер как доходчиво и подробненько. Почему то сразу захотелось приобрести форму для пицы и приготовить по предложенному рецепту. На родине пиzzы есть еще прямоугольная — mezzo-metro (пол метра). Обычно ее заказывают на дом для большой семьи. А еще окромя чеснока и оригано Вам могут предложить заправить пиццу пеперончино форте (настойка острого красного перца на ол. масле). На счет дней недели не знал, интересно. Знаю, что у итальянцев принято есть пиццу по вечерам. Ну рестораны то и не предлагают пиццу. Ее готовят в пиццериях или тратториях — это специализированные заведения неаполитанского общепита. В Неаполе не был, только лишь в регионе Эмилия-Романья. А в Болонье еще надо очень сильно поискать, где пиццу то готовят. Люблю піцу в любому виконані. Фото у вас красиві. хороший рецепт и отличная подача!